Everything you need except for some white sugar and water. It’s surprising that amaretto liqueur only appeared in North America in the 1960s. 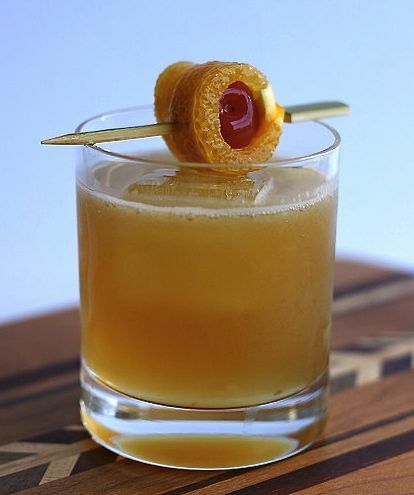 It quickly became a hit in cocktails – and food preparation. 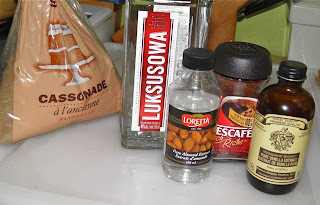 In cooking it is often an ingredient used with chicken, or in “amandine” sauces with fish or vegetables. 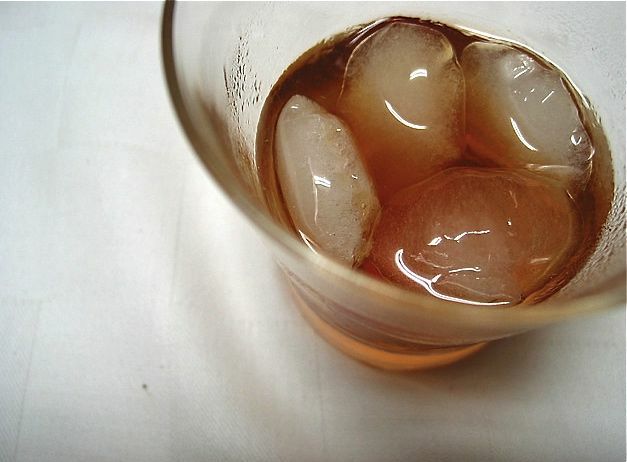 By the 1980s, amaretto was second in sales only to Kahlua®. Amaretto is an almond flavoured liqueur, but oddly enough may or may not contain almonds. The base of the liqueur is made from apricot pits or almond pits, and can contain many other spices and flavorings. According to legend, the original version was made in Saronno, Italy in the 1500s and the recipe is still a closely guarded secret. The translation of the Italian word amaretto is "a little bitter" so named because of the bitterness of almond kernels. I have to say this isn’t a bad imitation. Amaretto Di Sonorro® ages. This doesn't. It took me about 1/2 hour. It’s a little less potent than the purchased variety (20% versus 28%), but sometimes that’s not a bad thing, especially in cocktails that have very little mix! The finished product. I had to test it, didn't I? Combine coffee with the water in a saucepan. Then add the sugars. Brin to a boil, reduce heat slightly and let simmer for 15 minutes then let cool for 15 minutes. Stir in the vodka, almond and vanilla. Cool completely before bottling. 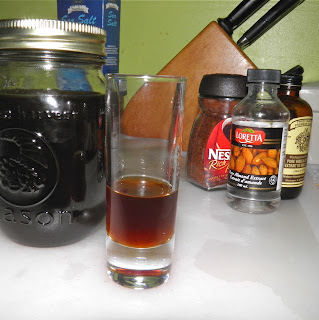 So what can you make with Amaretto?